Create your free WeatherLink account on WeatherLink.com. The Davis Instruments WeatherLink Bulletin Dashboard will appear. On the right side of the screen, under your name, click the account icon (it looks like a person). Click Download full version for Windows, Download full version Mac, or Update. New WeatherLink Computer Software users: Once downloaded, set up your software by adding your station (File > New Station). Use the Walkthrough Setup feature, or refer to the WeatherLink Getting Started Guide to set up your station in your software. On your WeatherLink.com page, click the green Add Devices button at the top of the page. Choose Data Logger for WeatherLink USB or WeatherLink Serial. Click Install and follow the prompts to set up your device. When done, your station’s Device ID and Key will be displayed. Make a note of these. In the WeatherLink Computer Software, open WeatherLink Network from the Setup Menu. Enter the Device ID and Key. If you have a Serial or USB data logger, don’t forget to leave your computer on with the software running 24/7 for continuous uploads. Be sure to get the WeatherLink mobile app so you can see your data wherever you are. 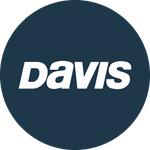 Search the iOS and Android stores for Davis WeatherLink.